THIS IS A ONE OF A KIND FIND! 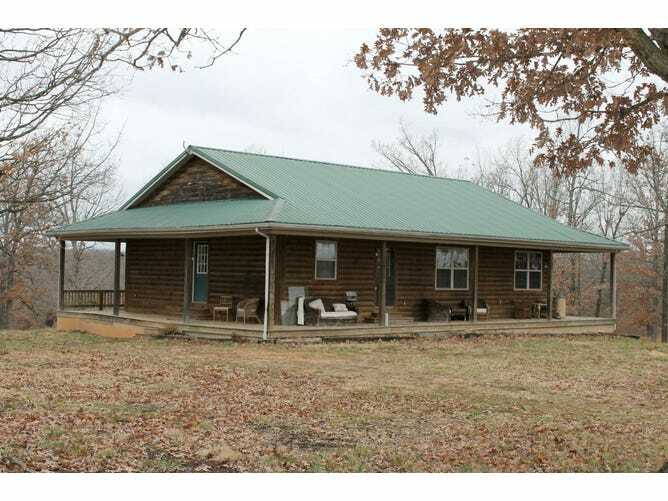 This 66 acre farm with 1,380 finished square ft. 2 bedrooms, 2 bath offers plenty of privacy. The interior of the home is just as pretty with the hardwood floors, large kitchen with abundant counter space and cathedral ceiling. There is a full unfinished walk out basement that is framed, wired and plumbing stubbed up for 2 more bedrooms, a bath and wet bar/second kitchen. With a 1 acre m/l fully stocked pond, 45 acres m/l of woods for hunting and 20 acres m/l open ground this is a outdoors man's dream. The full wrap around deck and sun room gives you a year view of the property. Direction: From Buffalo: Go East on Hwy 32 to K Hwy, travel down K Hwy approximately 6-7 miles until you come to Four Mile Road and turn right. Follow Four Mile Road and the Home will be located on the right hand side of the road. Legal info: Full legal to follow on warranty deed.